Sure, writing and publishing blog posts is a proven SEO and inbound marketing strategy. Providing valuable information that authoritative sites will link to will prove to Google that your website should rank high for search results. But how do you decide on your blog topics and how do you get them written? Develop your nose for newsworthy topics—tips, how-to’s, and do’s and don’ts—to provide insider information that will get shared and will build links back to your website to increase your search ranking. As the first order of business, you want to choose blog topics that are niche-specific to establish yourself as an industry authority, entice other bloggers to link to your content, and position yourself as an interview source for journalists writing about business topics in mainstream media outlets. You’ll want to choose topics to help people in your targeted niche industry become more profitable, competitive, and successful. Also, remember that many important journalists follow key blogs in search of stories, which can lead to a well-read and shared blog post and a public relations opportunity. Yes, that’s a lot of ground to cover in one blog post, but it can be done with advance planning. Do your research. Who are the other influencers in your field, and what are they covering? By knowing which influencers are already out there and following them, you can hone your professional skills—giving you valuable insights to help you do your job better, and uncover topics that can jump-start a related blog from your unique viewpoint. But more important, you will find blogs you’ll want to link to from your blog because they provide an enormous amount of pertinent information for your followers. Don’t simply link to the post; first send a quick message to the blogger that you’re doing so. As with traditional public relations when you want to build a trusting relationships with journalists to keep them covering your company, you’ll want to build trusting relationships with influencer bloggers. 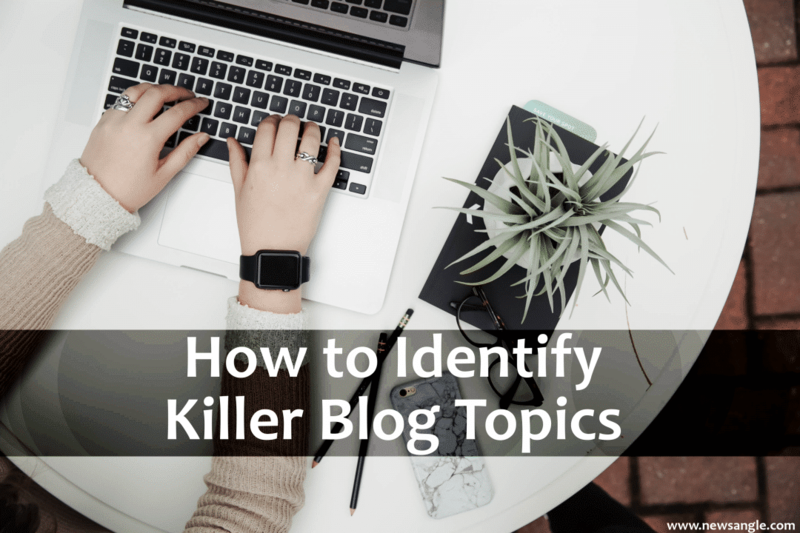 Start searching for blog topics by entering one of your website’s keywords in a Google search bar along with “blogs to follow” or “best blogs,” and study the results. For example, my firm does a lot of work in the food industry, and when I used the search term, “Best Food Marketing Blogs,” I found 30 Food Business blog post ideas you should write about, from Colorado-based Condiment Marketing, as well as links to food marketing blogs that provided some great insights. Infuse anecdotes, examples, and analogies in your articles. People remember short stories and capsulized case studies, and they will help increase the chances of your blog post being shared and linked to because it will be memorable. Remember, analogies paint a picture in the readers’ minds by using familiar reference points, and case studies will position you as an expert on your professional topic and increase the likelihood of building those all-important authoritative blogs. Sometimes called an advertising calendar, the editorial calendar is found on a media outlet’s website. Topics or cover stories, such as new technology or industry insights, will be listed for each month or issue. All business magazines and trade publications use editorial calendars to schedule stories in advance. These contain a wealth of blog post ideas. Look below the surface to the topics listed, and ask yourself if there’s one that falls into your area of expertise—something about which your colleagues would be interested in hearing your thoughts. Remember, when it comes to writing blogs, you are providing tips, how to’s and do’s and don’ts to not only interest your followers but also the readers of other blogs that have linked to your content. Writing is hard work, and hiring a ghostwriter is one of the best—although often overlooked—ways to keep a steady flow of new content on your blog. The investment is worth it when you find someone who is dedicated and makes a living as a writer, and will learn to understand your business and how to write in your voice. Because ghostwriters don’t write from the thin air, they will interview you and write from your experience, insight, and viewpoint, encapsulating your expertise into a blog post. Be sure to find a ghostwriter who is experienced in writing blogs because you want someone who understands how to search for resources and link to them within the post. Keep an eye out for guest blog opportunities on websites of trade industry publications and journals. Often they can be a slam dunk pitch, especially if you already have a relationship with the publication’s editor from past news coverage. Keep in mind guest blog topics in trade publications and websites are often executive opinion viewpoint posts on an industry issue rather than topics on increasing profitability and reducing costs. Watch for State of the Industry reports and Top Lists because you will want to be included in the report or list to create a back link to your website. Listen to what your customers ask you in meetings, and what problems or concerns they hire you to solve. Avoid disclosing confidential or proprietary trade secrets; look for across-the-board, niche-specific trade concerns so that targeted industry bloggers will create a link back to your site. For related marketing strategies, read our post on media relations in the digital world. "Lee Esposito Associates has been an important part of our integrated marketing approach for several years. We not only rely on Lee, Janet and team, but we recommend them to our own customers." porta. sit ut Curabitur risus dapibus id pulvinar sed non neque.